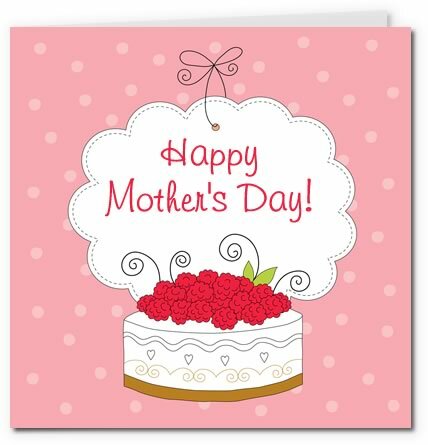 Download one of my free printable Mothers Day cards in high quality PDF format. There are 7 gorgeous designs to choose from. 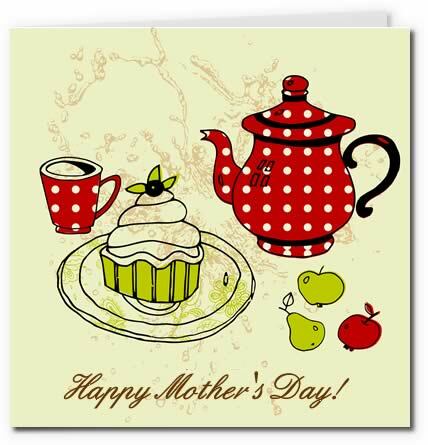 On this page you'll find a collection of artistic printable cards to browse themed around tea, cake, and all those pretty things we associate with Mother's day. The cards all come in high-quality PDFs, so they'll look even better than the images on this page. 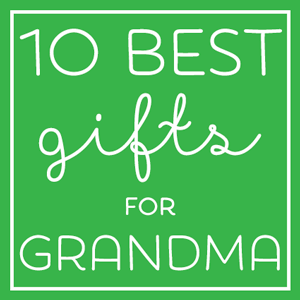 All you need to do is find your favourite, download the PDF, and print! 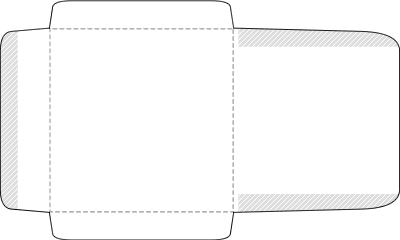 The card templates are a single-fold design, so just cut around the outline (use the corner guides to help you), and fold down the centre! 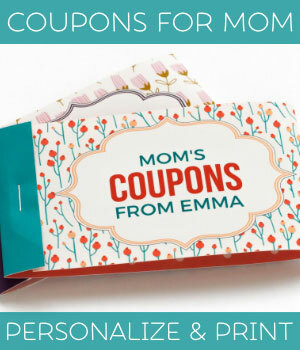 I'd recommend printing out your card onto thick paper or card-stock, but you can also glue your print-out onto thicker paper to make it more sturdy. And further down the page you'll find a printable envelope template too! 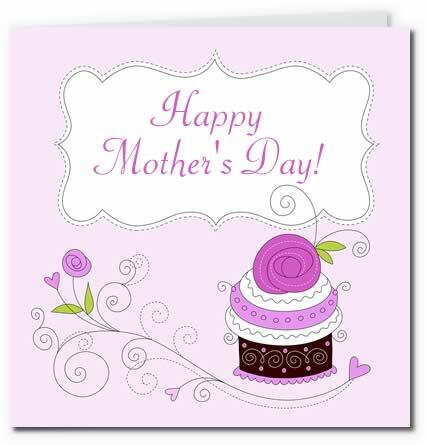 I hope you find just the right one for wishing your mom a Happy Mother's Day! Click on any of the pictures to download your favourite! 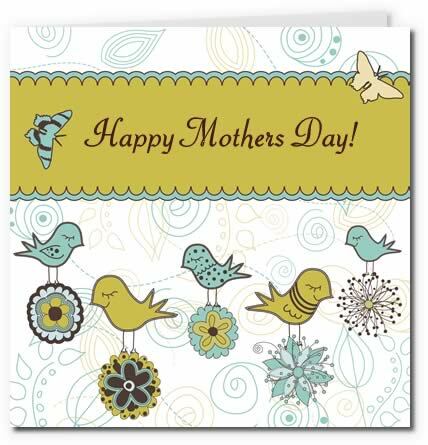 Sweet birdies and flowers design with two cute butterflies. 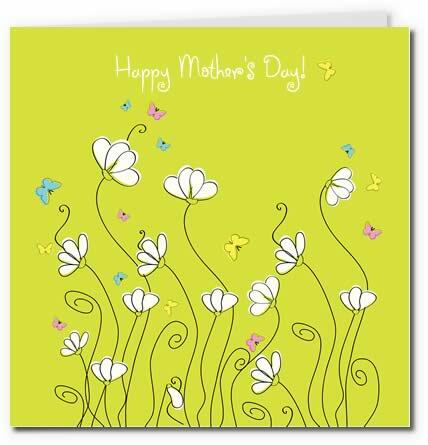 White spring flowers surrounded by colourful butterflies on a fresh lime-coloured background. Swirly cake design topped with lilac flowers and hearts. Sweet raspberry-topped cake on a cute polka-dot background. Cute red polka-dot teapot and teacup with swirly cupcake design. 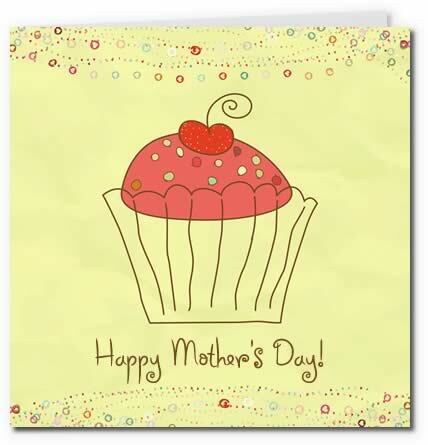 I love this cute cupcake card, especially the cherry on top and the curly writing style. 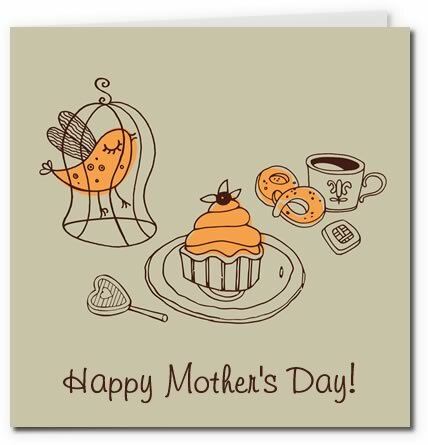 This is a lovely free printable Mothers day card, with a cute birdie, cup of coffee and cake. 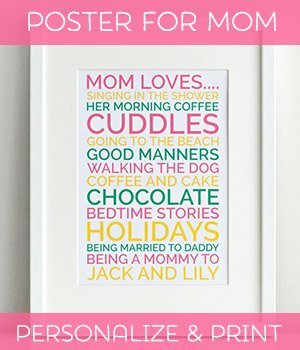 If you're looking for more free printable Mothers day cards you can find extra designs on our printable Mothers Day cards page. For mothers day gift ideas, take a look at our easy to make gifts on our Homemade Mother's Day Gifts page, including lots of fabulous bath and body gift ideas using ingredients you'll find in your kitchen! 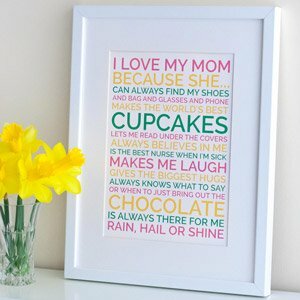 Or if you want to order a gift online, we have a great collection of 25 Mothers day gift ideas your mom is sure to love!